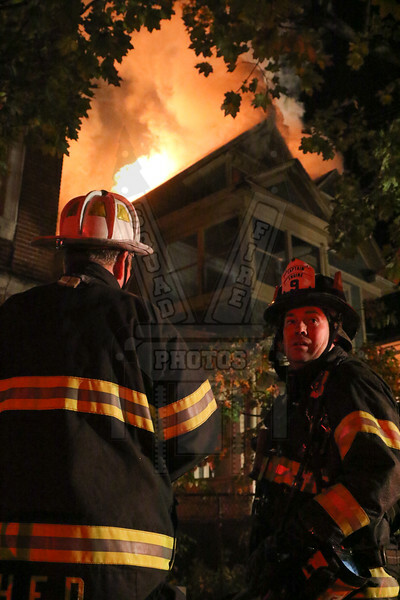 Around 0200 on 10/24/15 Hartford, Ct responded to their second fire in as many hours this time going to 79 Oxford St for a structure fire. On arrival members had the porches on fire. With most of the first alarm companies still operating at the other 2nd alarm West Hartford responded to this fire with East Hartford, Manchester and Uconn covering the city. I was at work so I didn't arrive at this fire until about an hour after it came in.